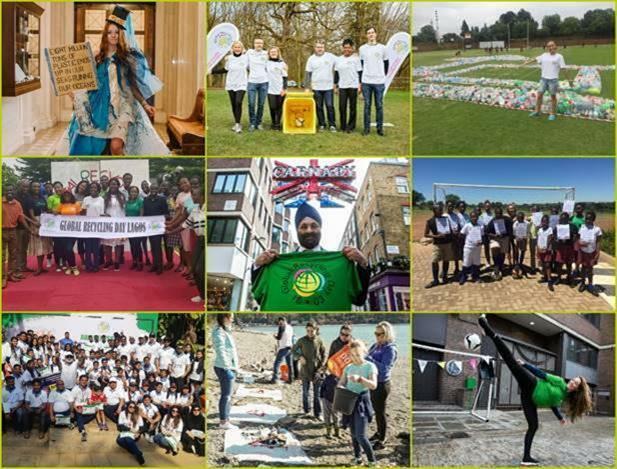 This month we launch our new guide on how to map the perfect campaign, showcase the incredible results for Global Recycling Day, share our marketing insights and client content as well as share some of the key dates this April. 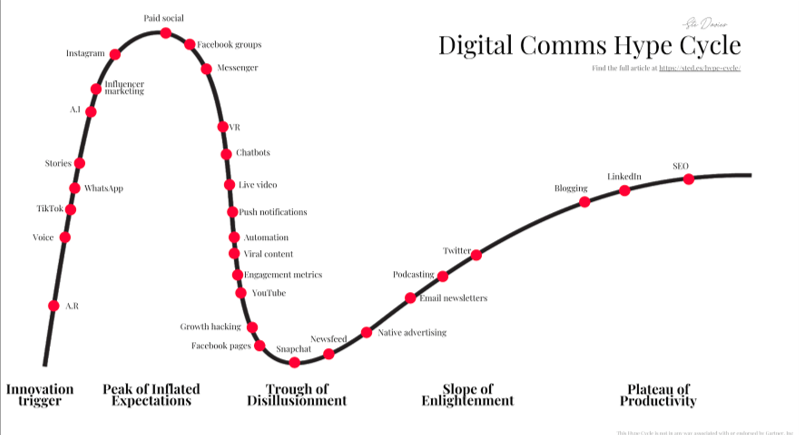 Very useful adaptation of Gartner’s Hype Cycle, focusing on digital communications, from Ste Davies’ excellent blog on engaging consumers. All marketeers should take a look at this and track where you are using various social and digital channels, and if you are doing so to best effect. Recent statistics from the US show a significant jump in mobile time spent among 18-34s, from 29% to 34%. The growth came at the expense of television viewing. Overall, figures across all viewers show an increase from 21% to 24%. YouTube is now responsible for 37% of all internet traffic. You can read more on the latest mobile usage figures in the US (and where the US leads, we follow) HERE. We love this campaign from Malaria No More – who are tapping into the ever-growing trend of voice (we are looking at you podcasts) to raise awareness of its latest petition calling on leaders to take action. 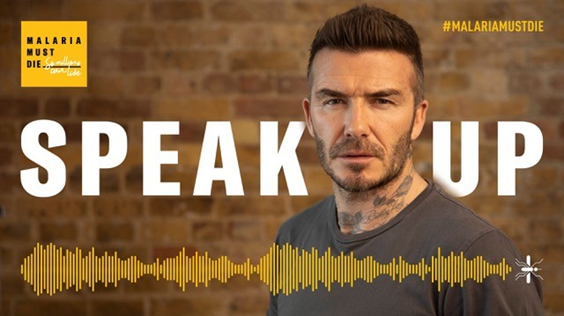 With David Beckham as a front man, this is the first ever voice petition – asking signatories to “Speak Up” with the message MALARIA MUST DIE. More and more people are using voice and audio, recognising it’s the unique power of the spoken word in reaching our inner-most thoughts, and this activation from Malaria No More is an excellent example. 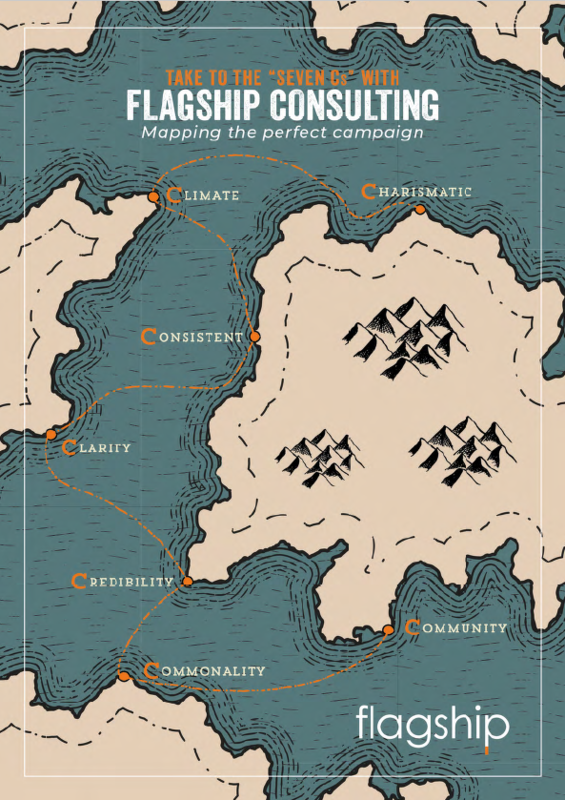 Flagship’s guide to mapping the perfect campaign – the 7 Cs! We decided to take a deeper look at the campaigns that really caught our attention in 2018 and to unpack them to see if we could discover what made them really great and stand out above the rest. Charismatic, committed and competent people behind the campaign. ‘Nothing’ would entice 44% of Brits to give up their car according to a new survey from data transit experts Ito World. Concern for the environment was the least popular response, with just 5% citing it as a reason to give up their private vehicle. 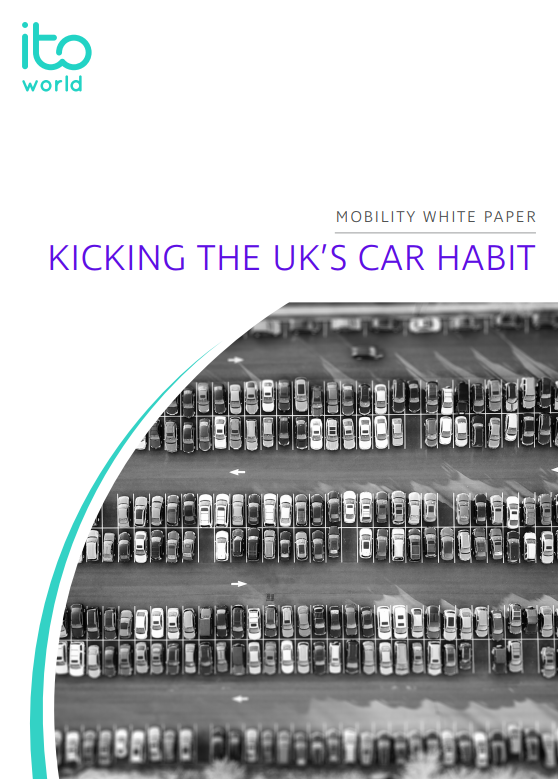 These findings, and more, have been explored in a new whitepaper called “Kicking the UK’s car habit” by Ito World. The paper, created by us with Ito World, examines just how toxic the UK’s relationships with cars has become, and asks what it will take for commuters to evolve and embrace a cleaner, simpler transport ecosystem. Mark takes on the FT’s view of PR in the national debate here. Belinda checks out M&S’s clever branding revisiting old favourites here. Mark runs the slide rule over the Government’s ‘flawed’ plans for accountancy firms here.